Nothing gets us in a good mood faster than stepping outside in the morning to discover a slightly cooler, almost-brisk day — it's the first sure sign of fall, and it's all we need to start plotting a whole new season of outfits. Today is one such day (it's barely 80 degrees out, you guys! ), and so we're fixating on this perfect little clutch from local brand Love, Cortnie to get us ready for the transition. We can imagine pairing it with printed pants and a simple blouse now, and adding a blazer and booties when the temperatures start to drop. What would you wear with it? 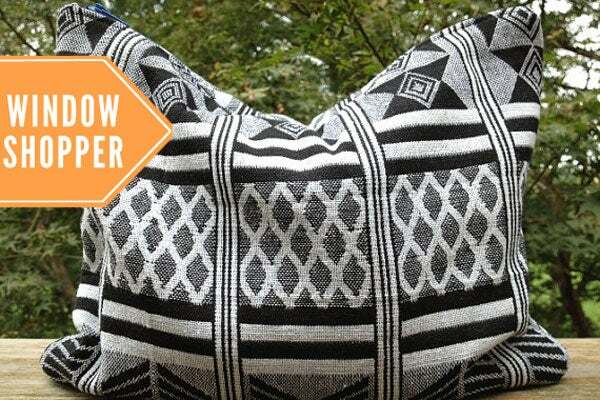 Love, Cortnie Aztec Statement Clutch, $50, available at Love, Cortnie.